On International Women’s Day, we’re spotlighting some of the amazing girls and women we’ve encountered in ChildFund-supported communities. We honor their struggles and cheer their successes. Dusk was settling over a suburban neighborhood in southern India, but Stella Leethiyal wasn’t ready to go home. The 47-year-old teacher was busy visiting shanties to meet women and educate them about good parenting — the key to a child’s successful development. Stella, 47, works as an ECD teacher in a suburban area near Chennai. Aside from teaching women about parenting, Stella also focuses on educating them about their individual rights and convincing their male partners to understand and respect the value of the women in their households. Stella, who works as a teacher at a ChildFund-supported early childhood development (ECD) center in Chennai, India, does this out of a desire to see her fellow women become aware and empowered. Currently, Stella works with children whose families often migrate to find work, a population that faces serious obstacles to a full education. Before becoming an ECD teacher in 1997, Stella was a community mobilizer for ChildFund; her prime focus was educating and empowering women. Her efforts helped convince nomadic families to send their children to school for the first time. According to latest U.N. Human Development report, India is ranked 129 out of 146 countries on the Gender Inequality Index. However, many people in India like Stella are working to improve the state of women and girls through education, health care, sanitation and political participation. The government also runs several programs aimed at empowering women. In the past year, ChildFund India has reached out to more than 142,000 women and engaged them in various issues ranging from their health and sanitation to economic empowerment. To assist women who wish to earn income, ChildFund India promotes women’s Self-Help Groups (SHGs) that manage microloans at a village level, which helps women become more self-sufficient. India has more than 5,600 such groups across the country, with 18,000 members. ChildFund is also committed to helping youths become involved community members, and toward this goal, we support more than 700 clubs for boys and girls. Durgesh has led a campaign to stop child marriage. Female youth clubs, also known as Kishori Samuha, have proven to be a major success in creating an informed and confident new generation. Durgesh, 15, is a testimony to this success. A sponsored child from Uttar Pradesh’s Firozabad district, Durgesh led a campaign against child marriage and managed to bring the number of early marriages to almost zero in her community. As a leader of her youth club, she generated great awareness about the ill effects of child marriage and managed to gain broad community support . Stella and Durgesh are two of hundreds of committed individuals in India who are giving hope to women across the country. They aspire to build a new India where women are respected and allowed to lead. Pavithra is just 9 years old. She is considered old enough to take care of her 3-year-old sister and 5-year-old brother. But her responsibilities at home in Chennai, India, kept her from attending school regularly for the past two years. As a result, she was behind a grade level. Pavithra even had trouble with the Tamil alphabet. Writing sentences and doing basic math — tasks that were hard for her — fueled her dislike of school. Things started to turn around for Pavithra after a new teacher who received training from ChildFund started working with her and other delayed learners more than two hours a day. “As part of our special quality improvement program, we used activity-based methods to develop Pavithra’s interest in studies. Slowly she started catching up, and now she is at par with other children,” adds Sham Begum, junior headmistress of the school. Started in 2011, ChildFund India’s Enhanced Education Quality Improvement Program (EQuIP) reaches more than 10,000 children in 100 primary and middle schools in parts of Chennai, the capital of the southwestern state of Tamil Nadu. Besides providing infrastructure and other essential learning equipment, this program specially focuses on helping children who are delayed learners. • creating awareness of education’s importance among all stakeholders. Nine-year-old Vinodini had many of the same challenges as Pavithra. Although her parents never forced her to work at home, the family often migrated to other places in search of work, so she fell behind in her education. She has some knowledge of the Tamil alphabet but was very poor in mathematics. But within months of Krishnaveni’s arrival at the school, Vinodini was able to read, write and comprehend concepts effectively. Now she is one of the top students in her class. “I was in class four, but my teachers were saying I was no better than a class-one student. But now I can read, write and even remember rhymes easily. My father is very happy for me now,” Vinodini says. Viondini, 9, is now a top-performing student. According to Krishnaveni, there were 19 children who were behind pace in their learning when she came to the school in June 2012. Within six months, 10 of them had caught up with their peers. “We are now working hard on the rest, and we believe they will also be up to speed very soon,” she adds. For Manju Sharma, 37, life once was structured around taking care of her two children and doing daily household chores. Until a few years ago, she had little idea of the world outside her home in the Firozabad district in northern India. But since she began working at an Early Childhood Development (ECD) center supported by ChildFund India, her definition of life has changed. Now she is a self-assured and respected woman in her community. Manju Sharma works at an Early Childhood Development center in India. Initially, Manju was nervous about accepting a job outside the home. Staying away from her children and husband for more than six hours a day was a challenge, but she accepted an offer to work with the ECD program in 2007 because of her passion for helping children living in poverty. 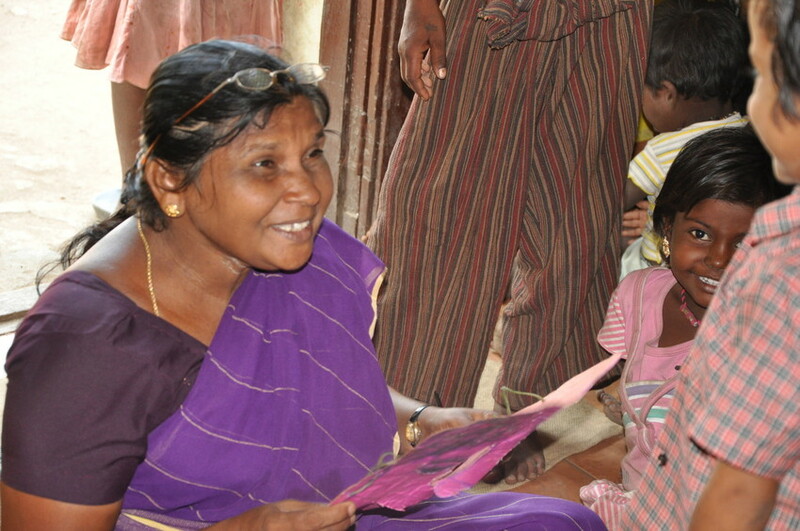 Manju received basic training on maintaining good hygiene among the center’s 35 children ages 2 to 5. For 26-year-old Avdhesh Jadaun, a teacher at an ECD center in the nearby Andand Nagar locality, teaching was a passion she had held since childhood. Avdhesh Jadaun teaches so she can help empower children in her district. Avdhesh, who has a master’s degree in psychology, has a desire to see all children in her locality receive an education and grow up to be self-sufficient young adults — a goal that ChildFund also wishes to achieve. “Since my school days, I wanted to work for poor children, especially helping them complete their basic education. Now, ChildFund gave me the opportunity to fulfill my dream, and I am very happy,” Avdhesh says. ChildFund currently runs nine ECD centers in Firozabad. More than 600 children up to age 5 are cared for in these centers. Mothers and pregnant women are also given important training on pre- and postnatal health care that includes immunization, breastfeeding, nutritional food intake and regular check-ups. Manju monitors the growth of the children. “And these teachers often act as health workers in their own capacities and help us deliver better service among the communities,” Mishra adds. Although Manju and Avdhesh are paid modest salaries for their hard work, they are satisfied when they see the children play, sing and dance happily around them. “The children are so sincere; often their gratitude is enough,” Avdhesh explains. The first World AIDS Day was held in 1988, and a great number of medical and social advances have been made in the 24 years since then. Nevertheless, much remains to be done. Today, we turn our focus to ChildFund’s work in India and Africa. Rajashri is a Link Worker in Machareddy Block of Nizamabad District, Andhra Pradesh, India. Rajashri is a supervisor for the Link Workers Scheme (LWS), a program in India that helps children orphaned by AIDS and some who are HIV-positive. She provides medication for hundreds of children infected with the disease in 19 districts of Andhra Pradesh, a central Indian province with a population of about 76 million. Started in 2008 by the national and regional governments with help from ChildFund India, LWS targets high-risk groups with prevention and risk-reduction information. ChildFund India has identified more than 7,400 children in Andhra Pradesh who have been orphaned or left otherwise vulnerable by AIDS or HIV. Although African nations often receive the most attention when the topic of AIDS arises, India has approximately 2.4 million people living with HIV, the third-highest population in the world, based on a 2009 estimate by UNAIDS. According to the Indian government, the state of Andhra Pradesh reported the second-highest HIV rate in the nation. The LWS program, which ChildFund supports, began in three districts in Andhra Pradesh in 2008, reaching 19 districts in 2011. About 23,000 volunteers have been engaged in this effort, and more than 11,600 HIV-positive patients have been identified and helped by the state’s health department. ChildFund also is working in African countries to help prevent the spread of AIDS. In Ethiopia, we work with children, youth, parents and community leaders to provide HIV and AIDS prevention and testing interventions as well as make available social networks to counter stigma and discrimination. Through our Strengthening Community Safety Nets program in the Addis Ababa and Oromia areas, 50,000 orphans and vulnerable children affected by HIV and AIDS have received family-centered care and support. The program builds on existing partnerships with community groups and local volunteers to build the resilience of families and community structures to support children affected by HIV, especially those under age 11. In Kenya, where an estimated 1.2 million people are infected with HIV (the same number as the far more populous United States, according to the Centers for Disease Control and Prevention), a ChildFund program has helped connect HIV-positive and other vulnerable children to organizations that offer anti-retroviral treatment and social assistance. The number of vulnerable children attending school and receiving health care has risen since the 2005 institution of Weaving the Safety Net, part of the U.S. President’s Emergency Plan for AIDS Relief. Today, that program has concluded, but ChildFund’s work with orphans and vulnerable children impacted by HIV and AIDS continues. As of spring 2012, more than 73,000 orphans and vulnerable children were being served in Nairobi, and 3,200 HIV-positive children were enrolled in support groups. Lucy receives a school uniform, books and a new bed. Lucy, a 9-year-old who is HIV-positive, lives in Lamu, an island off the coast of Kenya. She, her grandmother, her aunt and four cousins share a one-room thatched home. When Lucy was a baby, her mother died from AIDS complications. Their village had few resources to deal with the disease, but now, with ChildFund’s support, Lucy goes to a district hospital to receive anti-retroviral treatment. She is healthy and thriving at school. A side benefit of ChildFund’s and others’ work in Kenya has been a greater acceptance of those affected by HIV, lessening the stigma of the disease. For the past few years, the ChildFund Alliance (a 12-member organization that includes ChildFund International) has been asking children to tell us what they would do if they were president or the leader of their country. As you can imagine, 11- to 12-year-olds have some definite ideas. As U.S. voters go to the polls today to elect the next president of the United States, we wanted to share with you some very good ideas for changing the world offered up by children who have a lot of important things to say when asked. To help these children and others like them achieve their dreams, and maybe one day grow up to be president, consider sponsoring a child. Being born into an extremely poor family tends to reduce a child’s chances for a promising future. Years aoo, that seemed to be the case for Kesavaiah, a 6-year-old boy living in a remote tribal village in the Annanthpur district of southern India’s state of Andhra Pradesh. Kesavaiah’s father, an agricultural laborer, was the only breadwinner for his five-member family. Insufficient income and paucity of alternative livelihood options often forced the family to struggle to prepare a full meal for all. Going to school and truly enjoying childhood was just a distant dream for Kesavaiah and his two sisters. “I still remember the days when my father was struggling to arrange a square meal for each of our family. My mother was also working as a daily laborer just to satisfy our hunger. Many a time we went to sleep at night after just drinking water,” recalls Kesavaiah, who has now completed his technical degree and aspires to become a top mechanical engineer. He notes that it was the timely support from ChildFund and its local partner PSS that helped transform him from a pessimist to a dreamer. “I never thought that I would able to complete my primary education as the conditions were not allowing that to happen. 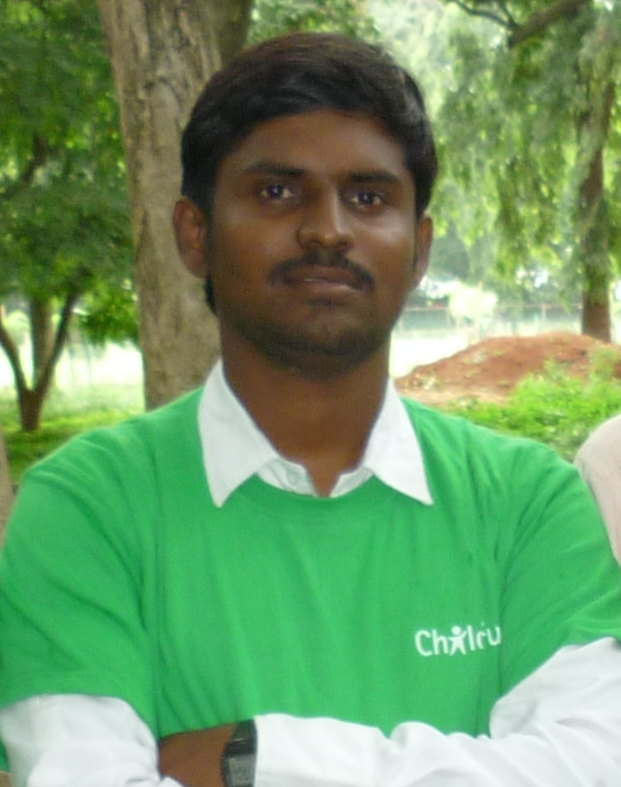 It was the moral and material support by ChildFund India and PSS that helped me to come so far in life,” he says.